The University of Michigan- Shanghai Jiao Tong University Joint Institute (UM-SJTU JI) stands at the forefront of technological innovation with its unique academic atmosphere and advanced scientific explore. JI boasts a strong research team, which keeps innovating and strives to produce results that will lead the industry and ultimately benefit the human beings. In order to help the public discover the mystery of scientific research, JI has launched a series of mini-workshop to introduce faculty’s research. Foot and ankle strss fractures, plantar fasciitis (PF), and ankle sprains are the most common injuries in lower extremtry especially for elderly populations. Severe pain caused by these injuries may largely hinder regular activities of human. However, diagnosis and treatment of PF is mainly based on the experience of physicians nowadays, as shown in Figure 1. Both surgical and non-surgical treatment have their limitations, which makes these injuries very difficult to heal. Therefore, there is a need to establish a body of knowledge for diagnosis and treatment principals for physicians. The goal of this research is to develop a systematic approach for diagnosis of the symptom, simulation of the surgical and non-surgical treatment, and to provide a non-surgical treatment for the symptom. In this approach (Figure 2), CT scan or MRI scan is first conducted to the foot and ankle,bone segmentation is automately done with the point-cloud data, solid geometry of bones and soft tissue are built automatedly, and finite element model of the foot and ankle is then built in ABAQUS as shown in Figure 3. 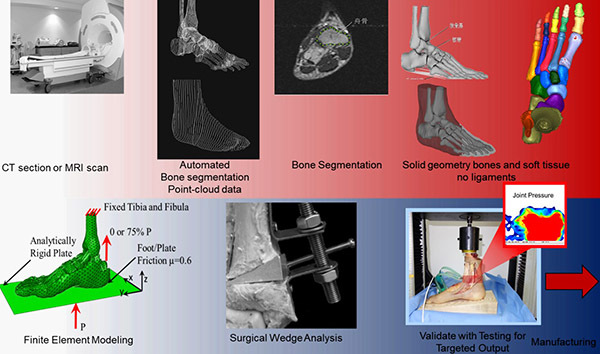 Surgical wedge and non-surgical treatment like orthotics solutions will be analyzed with finite element model. The non-surgical orthotics are also studied in this research(Figure 4), which considers not only the bottom shape of the foot and ankle, but also the plantar pressure distributions. 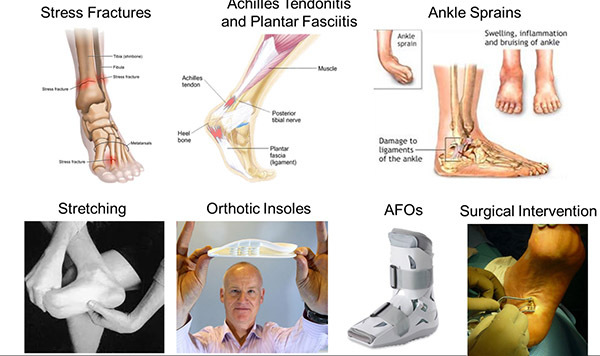 This systematic approach provides valuable information on the foot and ankle on a subject specific basis, including geometry of foot and ankle, internal force, internal pressure and deformation, strains and stresses in tendons, etc., which will help physicians to find the best surgical or non-surgical treatment for specific subject. 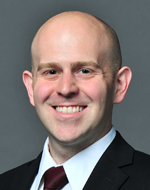 Shane Johnson is an Assistant Professor at the University of Michigan and Shanghai Jiao Tong University Joint Institute in Shanghai, China. His current research is the development of multi-scale modeling techniques, finite element methods, and experimental mechanics is supported by the National Science Foundation of China Young Scientist and Young International Scientist Grants as well as Shanghai Jiao Tong University’s Medical and Engineering Grants. Dr. Johnson worked with industry during his education at Georgia Institute of Technology to develop new experimental and analytical research with the Institute of Paper Science and Technology, Lockheed Martin, and Albany International’s papermaking and aerospace divisions. After graduating with his Ph.D. in 2010, he worked as a Senior Research Engineer at The Materials Technologies Corporation (MTC) in Research and Development on projects with NASA, NAVAIR, and the US. Air Force on Small Business Innovation projects to develop new non-destructive and non-invasive tools for quantitative evaluation of materials and structures (including the foot and ankle). He has several specialties in solid mechanics including: development of new testing techniques, infrared thermography, Thermoelastic Stress Analysis (TSA), mechanics of composite materials, micromechanics, and finite element analysis.